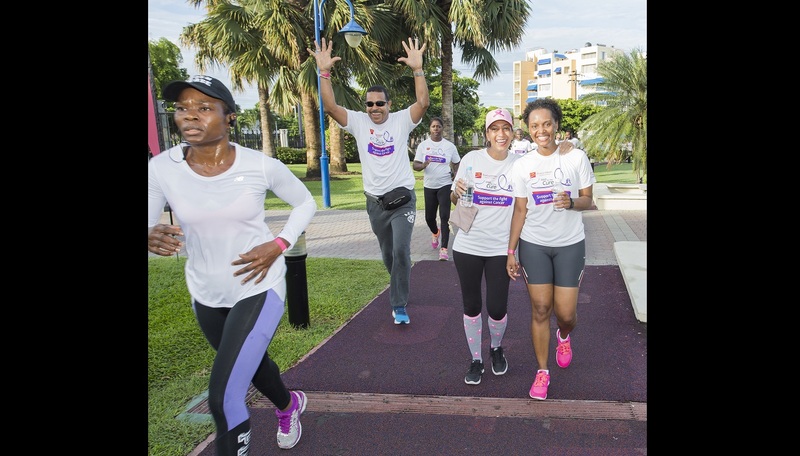 Launched in 2012, Walk For The Cure, one of the Caribbean’s largest cancer fund raising initiatives, sees employees of CIBC FirstCaribbean and well-wishers across the 17 Caribbean countries in which CIBC FirstCaribbean operates, participating in scheduled walks. The Jamaica Cancer Society (JCS) has lauded CIBC FirstCaribbean International Bank for a partnership which has helped fund a range of JCS initiatives in Jamaica. Accepting a cheque for $3.6 million, the proceeds of the bank’s 2017 Walk For The Cure, Yulit Gordon, Executive Director of the JCS, said that “the continuous commitment and contributions of CIBC FirstCaribbean over twelve years has assisted us in expanding our reach to more and more communities as we work to educate, increase testing and reduce the incidence of cancer in Jamaica. We need more like you to come on board”. 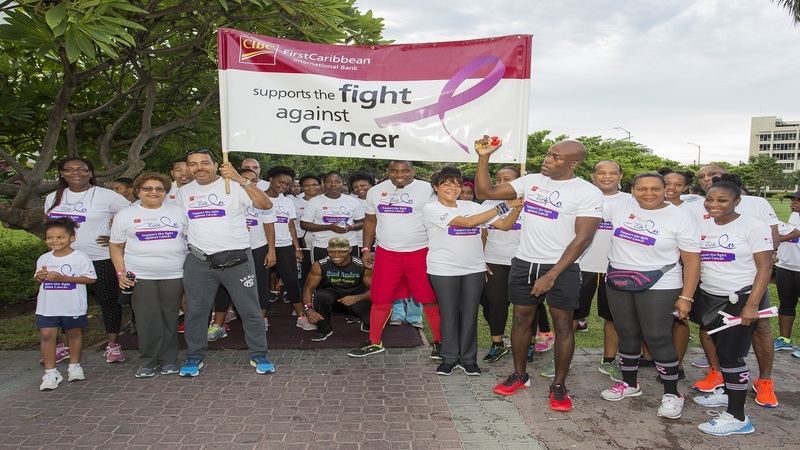 Launched in 2012, Walk For The Cure, one of the Caribbean’s largest cancer fund raising initiatives, sees employees of CIBC FirstCaribbean and well-wishers across the 17 Caribbean countries in which CIBC FirstCaribbean operates, participating in scheduled walks. Funds raised, benefit the cancer organisations in the individual islands. Gordon said that “unfortunately cancer in the Jamaican society is not going away. The more we screen the more cancer we find and this is why the support of CIBC FirstCaribbean is so important. We need to extend our reach into even more communities, expand and strengthen our clinical services and improve access to treatment, particularly for the vulnerable in our country”, she explained. 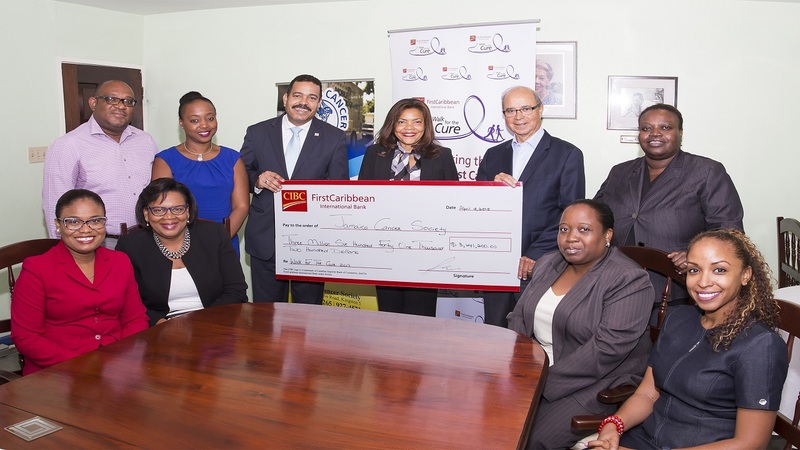 Noting that there are few people in Jamaica who do not have a relative or friend or know of someone with cancer, JCS Board Vice Chairman, Michael Fraser, also congratulated CIBC FirstCaribbean for their “passion for this cause”. He said, “it is particularly commendable when people who are hearty and hail help those who are not”. 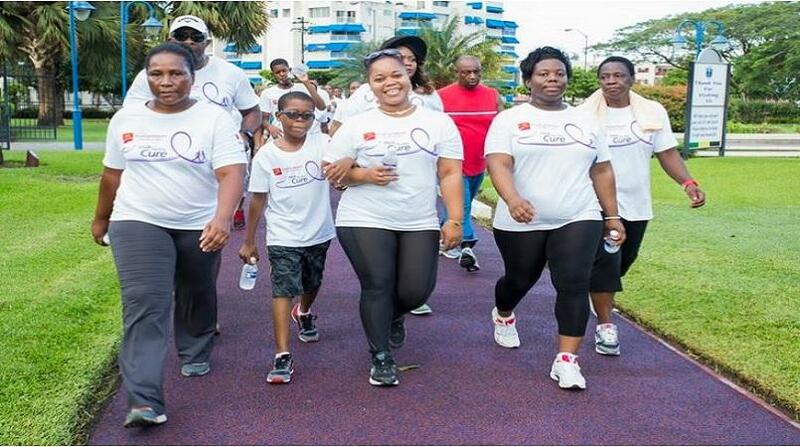 “Every year we try to raise the bar and this year, on September 30, 2018, we will be taking Walk for the Cure beyond the Emancipation Park, our “home” over the past six years to the streets of New Kingston. The 3K will allow for greater participation”, he announced.